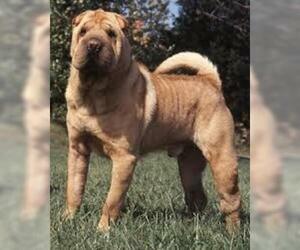 Overview: The Chinese Shar-Pei is a loving, yet independent breed. He requires early obedience training and should probably have a patient owner who doesn't mind a serious dog who has a mind of his own. 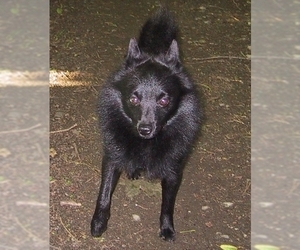 Colors: Any solid color, including sable. 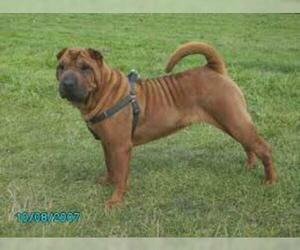 Character: Chinese Shar-Peis are brave, loyal, and dominant. 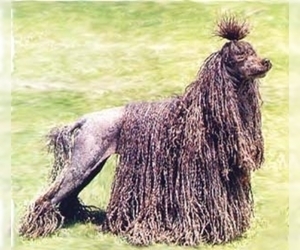 This breed is often less than obedient, so need special training. 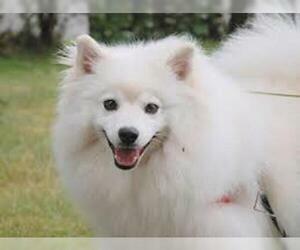 Temperament: This breed bonds easily with its family, but is also friendly toward strangers. 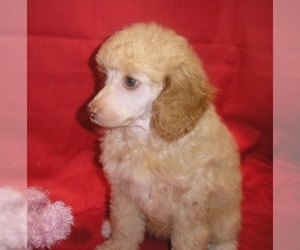 They are good with children and get along with other household pets, as long as proper socialization has taken place at a young age. They may fight with other dogs. 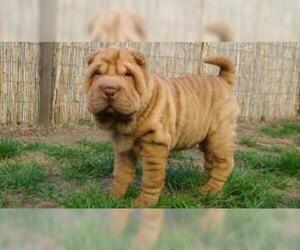 Care: The Chinese Shar-Pei must have its coat groomed occasionally with a soft brush. 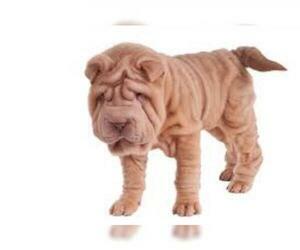 The skin folds must be checked and cleaned thoroughly on a regular basis. 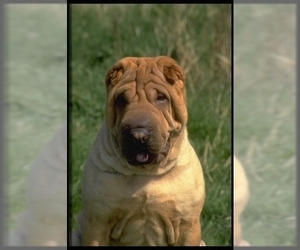 Training: This breed requires consistent training from a firm handler. 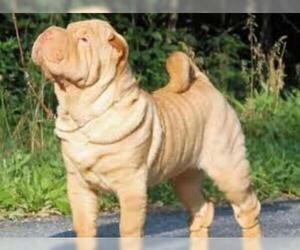 Activity: Chinese Shar-Peis need a large amount of outdoor exercise. 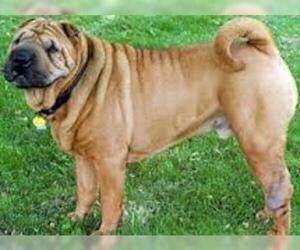 Health Issue: This breed may have kidney problems and some hereditary skin problems. Displaying 11-11 of 11 result(s). Displaying 16-20 of 22 result(s). 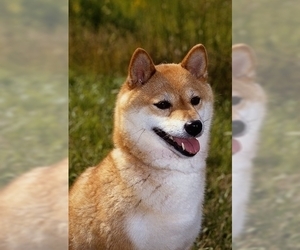 Colors: Red, red sesame (red with black overlay), or black and tan; white markings on the sides of muzzle, under jaw and neck, and on chest and stomach.